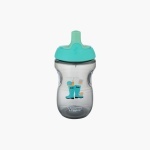 Tommee Tippee Active Sports Bottle | Multicolour | Insulated base to keep drinks cool and encourage drinking. 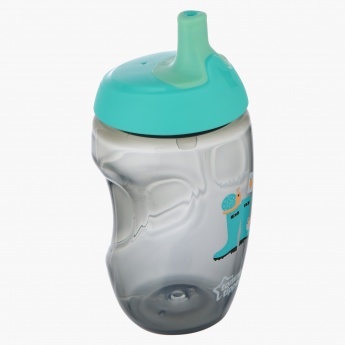 Ensure your toddler is happy and hydrated with this sports bottle specialised to suit his growing needs. Sporting an ergonomic make for an easy grasp, this pick is enhanced with a spill-proof lid to reduce mess. Feature 2 : Straw flips down between sips to stay clean and stop spills. Feature 1 : Insulated base to keep drinks cool and encourage drinking. Feature 3 : Perfectly designed to keep your toddler happy and hydrated.